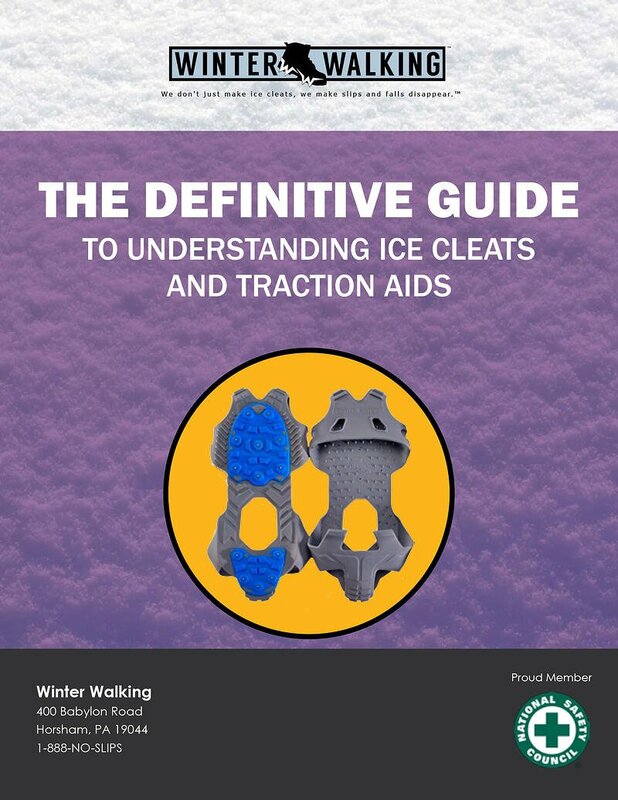 When it comes to ice cleats, most are NOT safe to wear indoors. 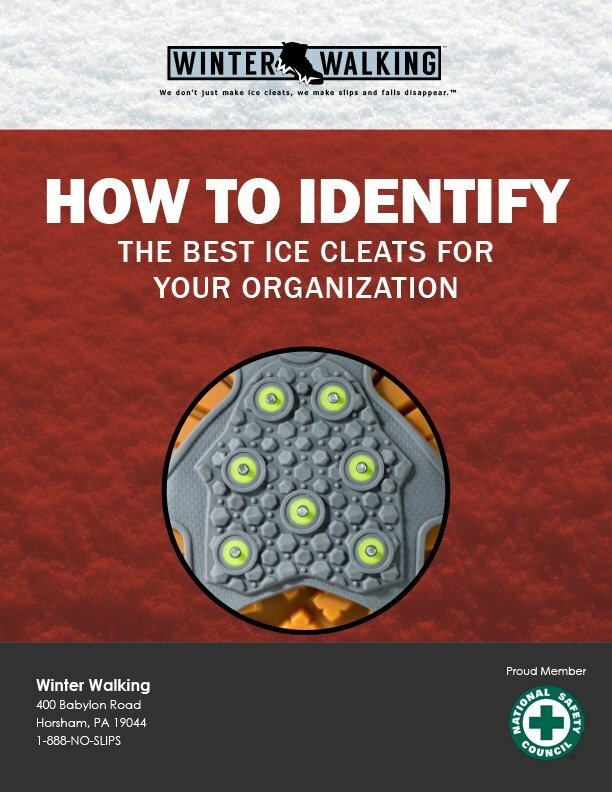 Traditional ice cleats are engineered for one thing – preventing slip and fall incidents on ice. 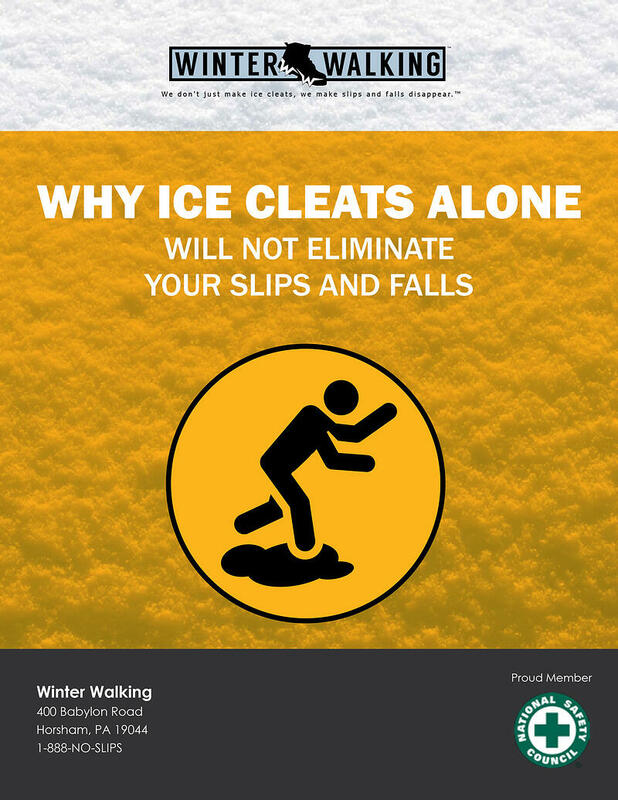 Since Ice and snow don’t exist indoors, manufacturers don’t concentrate on indoor flooring materials when developing ice cleats to prevent slips and falls. 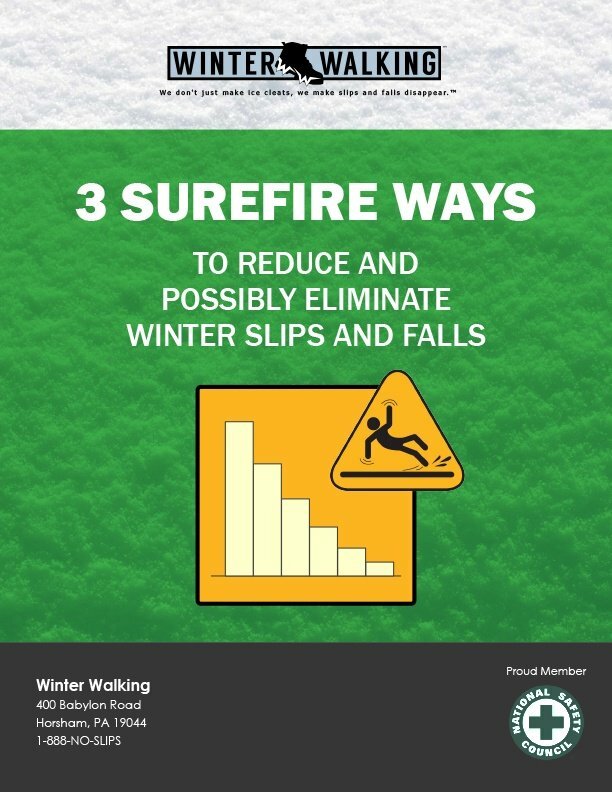 This can severely complicate a company’s goal of reducing slip and fall incidents because, if traditional ice cleats are worn indoors, your employees are now at a high risk of causing a slip hazard. 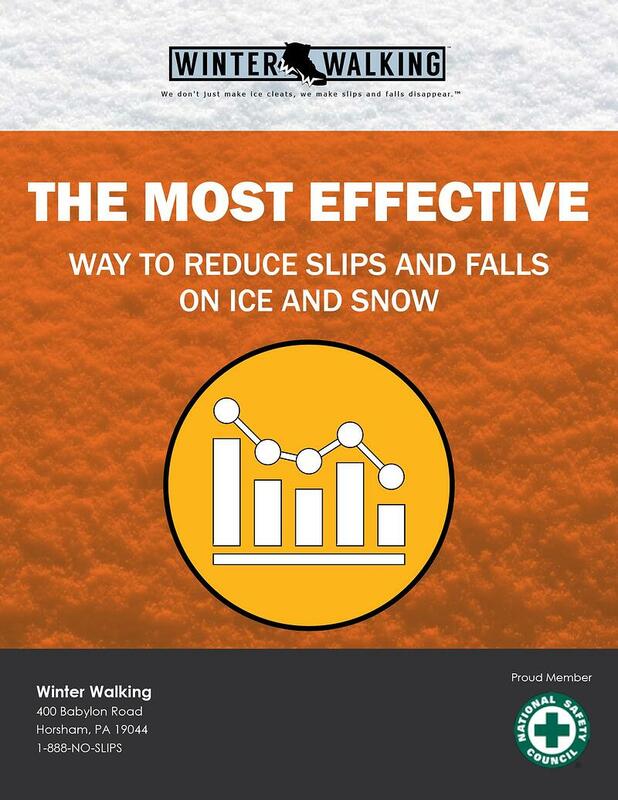 In other words, remember the OUTDOOR slipping incident you may avoid because ice cleats were worn in the ice and snow? Well, as the safety professional, it’s possible that you may unintentionally cause a slipping incident INDOORS because your employee didn’t remove their ice cleats as instructed. So what’s the deal with that, you ask? The traction on the bottom of these devices is very aggressive. The different types of materials used today are designed to penetrate ice and hard-packed snow. It ends there. And when these traditional cleats are worn indoors on hard floor surfaces, like tile, ceramic, linoleum, sealed concrete, epoxy floors and others, they are an extreme slip hazard! 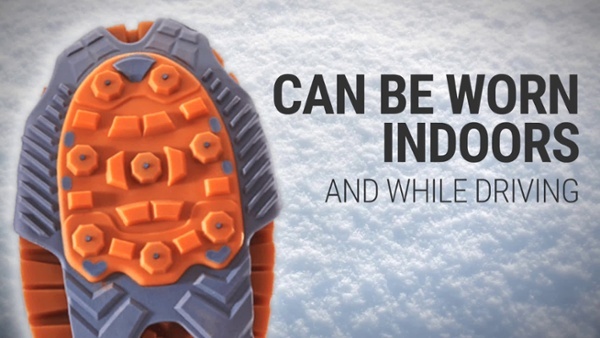 In other words, the traction keeping you safe outdoors in ice and snow is simply too aggressive for indoor floors. When used properly, traditional ice cleats (HIGH-PRO® Ice Cleat) will keep your workers safer and more productive while working outdoors in harsh winter conditions. 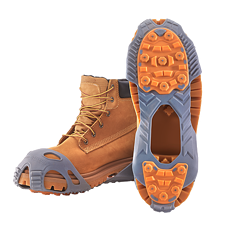 Is there anything else besides “ice cleats” that will keep your workforce safe outside in ice and snow, but still allow your employees to wear them indoors without removing? The short answer is YES. 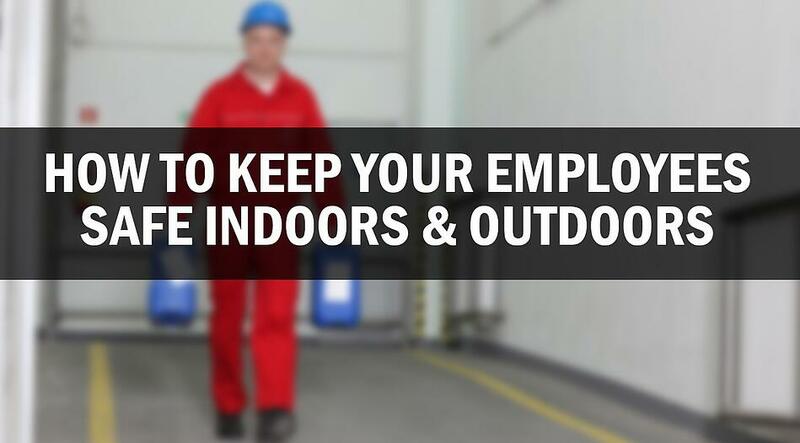 Today, there are traction aids that employees can safely wear outdoors and indoors without removal. 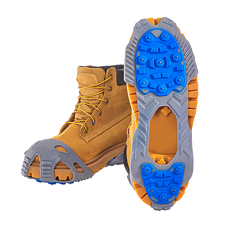 We call this Transitional Traction (LOW-PRO® Ice Cleat) and it’s something your employees can put on at the beginning of a shift and leave on all day. Without losing time to take them on/off. Without damaging floors. And, most important, without creating a new slipping hazard. Imagine how much time you might get back in your day not having to field complaints about ice cleats! Contact us and we’ll fill you in on the other benefits of Transitional Traction. Bill Coyne is the VP of Sales for Winter Walking. He has been helping organizations across a wide variety of business sectors eliminate workplace slips and falls incidents in ice and snow for over 15 years. Email Bill bill@winterwalking.com or visit www.winterwalking.com for additional information and resources.